5つ星のうち4.0An interesting read, though perhaps a bit too optimistic? 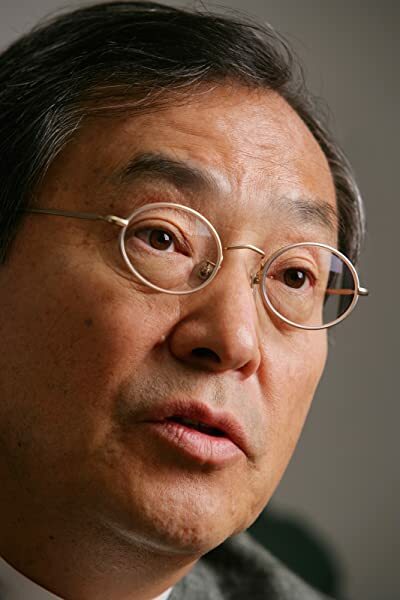 Kenichi Ohmae, argues that borders and nation states are becoming irrelevant and explains that a "fundamental paradigm shift has occurred that is changing the way business is being done...[and that the majority of us] are still operating under the old rules. Ohmae predicts that nation states will become obsolete as their sole job will be to facilitate a comfortable environment for global companies serving the ever more educated consumer in the Inter Linked Economy. At the business level, most of Ohmae's reasoning seem sound, and is based on basic economic principles such as economies of scale and the bargaining power a global corporation might realize etc. What may be most controversial in his book are Ohmae's views on globalization. In most ways Ohmae's view is utopian. Ultimately Ohmae left me unconvinced in regard to his view on the speed, the benefits, and even the best methods of dealing with the ILE/globalization. Two other good books dealing with these topics in interesting ways are Lindblom's "The Market System", and also to some degree Huntington's "Clash of Civilizations". 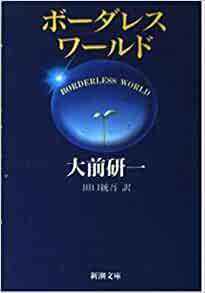 In the Borderless World, Kenichi Omahe seeks to demonstrate the insignificance of national boarders in an increasingly global world. He demonstrates how the most successful nations and companies are those that have been able to transcend their national boarders and have instead permeated into other regions in the world. The concept of the interlinked economy is obviously now more apparent than it was in the 1990s. At the height of globalization, developed countries in the west were able to export their products thereby increasing their consumer base and business influences. It seems to me that this book was an accurate prediction of the shifting paradigms in global businesses. Today, countries are confronted with the borderless nature of business transactions. Instead of fighting this reality, those that embrace the shift are more likely to benefit in global competitiveness. This great book will help you understand the development of globalization from the 1990s to the impact it is having on business today. You will understand how the interlinked economy works and how you can leverage this to make profits from the economy of scale as you begin to carter to a larger audience. I recommend this book to anyone who may be wondering whether they are ready to take their business global and how globalization will continue to influence global competitiveness. Great Book!, one of Ohmae's best book. Read it, and you will understand why this world would getting smaller and smaller everyday. In this globalized economy, every single nation could take an advantage from it, no matter how poor it is, because we believe everyone in this world has a spesific competencies and capabilities to increasing their own wealth quality. See how the business organizations around the world develop their competencies and capabilities and take profit from "interlinked economy", and create something called "win-win solution", something that almost impossible if we talk that in the past paradigm.